Our native yarrow is one of our most common prairie plants and can be found in both wet and dry prairies. It is quick to establish on restoration sites so is great to use for enhancement or on disturbed areas. 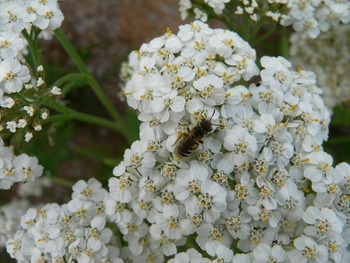 This member of the carrot family attracts many different pollinators and beneficial insects making it an important habitat plant. It can have white to pink flowers, 1-2 ft.
Large-flowered agoseris is found on thin-soiled upland prairies and rocky balds. 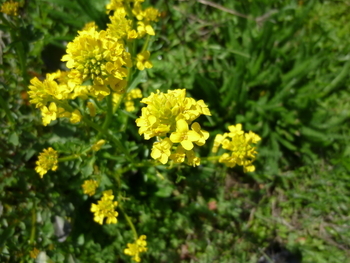 It has a large rosette of cut-leaves and dandelion-type flowers that close by mid-morning. The flowers become a big white ball of fluff when in seed. 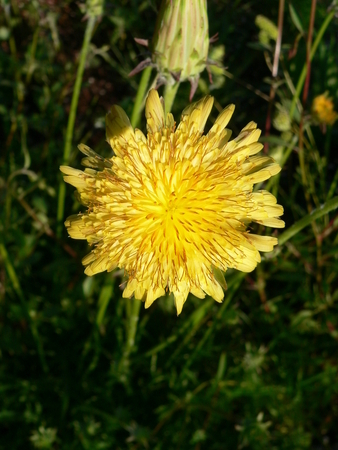 As with our lawn dandelion, it will re-flower after it is cut. 1-2 ft. 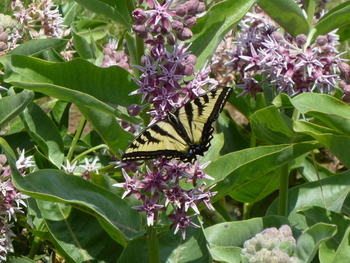 The Monarch butterfly host plant with great retail appeal, so it's easy to sell. It is unusual and showy with 3-in., globes of pink-tinged, star-shaped flowers. This increasingly rare plant is the only genus on which Monarch butterflies will deposit eggs. 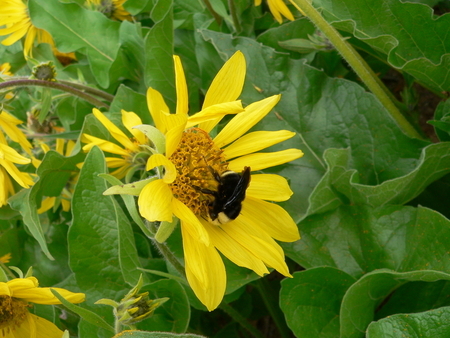 The nectar-filled flowers, opening late summer, exude a pleasing sweet fragrance and produce magnificent seed pods. 2-3 ft. tall. Gorgeous sunflower! Multiple flowering stems provide spring blossoms. Found in upland prairies and rocky bald with our native Oregon White Oak. 2-3 ft tall. The seeds are a favorite of goldfinches returning from migration.